Showing recent results 2581 - 2595 of 4500 products found. 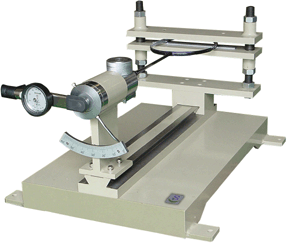 This machine is suitable for simulating NOTEBOOK's various parts damage after various heights and various angles. It can be used for various angles of diamond, angle and surface. The specimen under the specified load is abraded by the grinding paper stuck onto a rotating drum to check its abrasion consumption. Utilize the drop plunger to impact the hard-plastic material for evaluating it quality. It is used to assess the tendency of all type of shoe upper materials such as leather, poromeric, fabrics, plastic-fabrics, fabrics and upholstery coverings to crack or break as a result of flexing in wear. 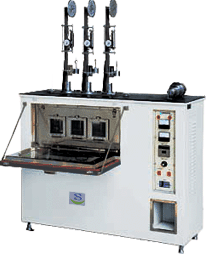 It allows 4 samples to be tested simultaneously. 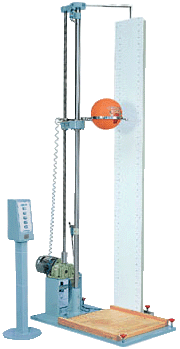 It is used to test the ball rebound capability. Moving up the ball in the testing high, and droping it. Then testing is rebound high. Fix the badminton racket at the position of 110mm distance to the top of frame by two supports. Then use torque wrench to twist the racket at the end of handle. Measure the twisting strength when the racket is loose or broken. 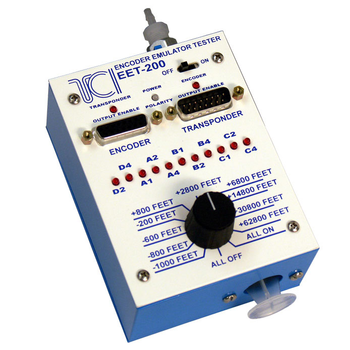 It's used for determining the flexibility resistance and or indicating the cracks of shoe or shoe sole through reciprocating flexing movements under the specified angle and frequency. 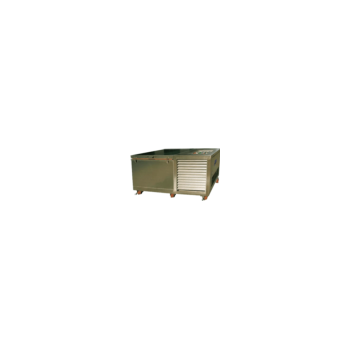 This machine is mainly used for the cold resistance of various products to understand the situation that materials or finished products can adapt to low temperature climate or cold regions. 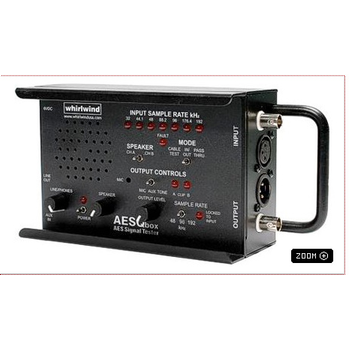 Simulate the natural low temperature environment, and the test piece is observed at a certain low temperature for a certain period of time to determine the cold resistance of the test piece. Can be used with some impactors or some fixtures. This machine is ideal for determining the abrasion resistance of upper, lining, socking, and similar types of shoe materials, particularly those made of fabric. The specimens are capably tested for four bieces or six pieces(option) per time and are rubbed over the abrasive in all directions in a complex, repetitive pattern(a lissajous figure) and, at the same time, the holer totates. 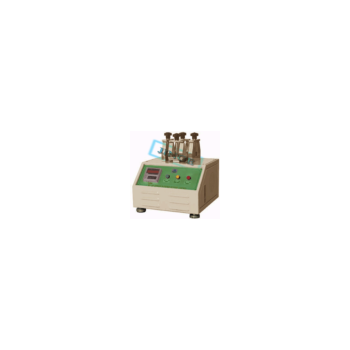 Samples at a certain temperature in the machine , add the required load , calculate deformation rate after heating. It's used to measure if the leathers in the same pack are with the similar softness or assess if the softness across a skin or hide in everywhere is uniform.